At the top of the Robert W. Woodruff Library, the shelves and offices of the Stuart A. Rose Library overflow with books, movie posters and architectural plans. The Rose Library, Emory’s hub for archival research, houses protective displays that rotate every three months and shield the fragile documents from the sunlight that filters through the 10th floors large windows. Next January’s exhibit will celebrate the 100th birthday of the Michael C. Carlos Museum, according to University Archivist John Bence. The importance of archive material in writing history first interested Bence in archival work. “Once I learned that much of our historical knowledge is undergirded by archival information, I was really interested in figuring out how that archival information comes to exist,” Bence wrote in a Dec. 4 email to the Wheel. The Wheel joined Bence for special access to the Rose Library’s ninth and eleventh floor in late November, 2018. A earthy, musty scent saturated the ninth floor, where tall shelves and monochromatic special acid-treated Hollinger Metal Edge boxes held stacks upon stacks of old books. The books have been collected and donated throughout the years, deemed archival due to their enduring value. The Rose Library can hold more than 127,000 titles, Bence said. Even after the documents are tucked away, students can visit the 10th floor to view digital editions of the University’s archives. 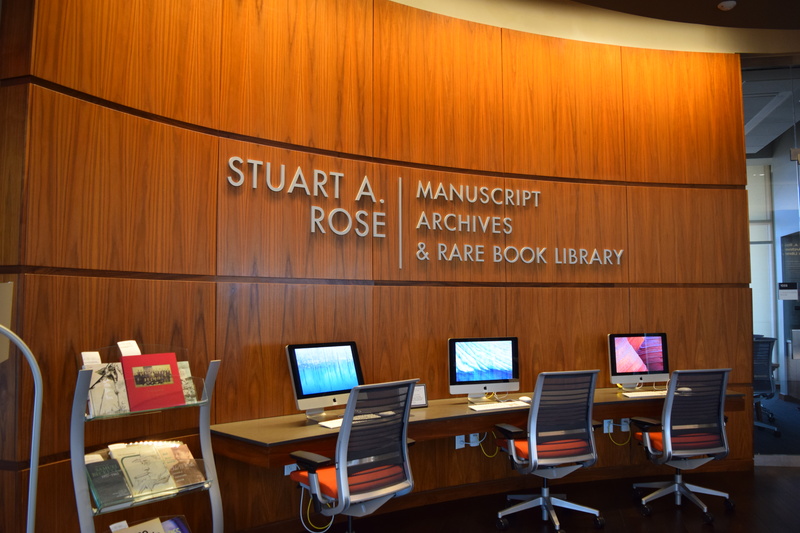 Students, staff, and unaffiliated scholars frequently use the Rose’s materials for archival research. The digital editions of archive material are available thanks to digital archivists like Brenna Edwards, who converts donated media, including flash drives, CDs and floppy disks to files that can be accessed through The Keep, a “cloud-esque database,” according to Edwards. Access to The Keep is limited, and students can only access the database through one of the library’s four iPads or three laptops. The documents are digitally protected from export or copying, and the access devices are locked down, or customized to only access The Keep. To ensure limited access, the floor has only two ethernet cords that load a restricted version of Firefox. Digital and hard copies of archival files are located on one floor below in an area restricted to students. The ninth floor connects to the 10th through a separate staircase with exclusive key card access, Bence said. Edwards works from the ninth floor, which also includes the library’s rare books section and the processing area for the University Archive. The University Archive employs about 15 students, according to Bence. Graduate students complete most of the processing. A thick stack of old Theater Emory materials sat atop one graduate student’s desk, and Bence said that it is the student archivist’s job to sort incoming material and decide what to keep or discard. Student archivists must also scan and categorize publicity photos. It is imperative that student archivists work as quickly as possible, Bence said. “Our goal is to make [resources] available, not to keep it down here where no one can see it,” Bence said. However, some archival material does not see the light until long after processing, during which material is organized and cataloged. These measures exist for privacy’s sake, Bence said. For example, some student and personal university records might be organized and tucked away for 75 years, and any information regarding the University president must be held for 20 years after the president leaves office, according to Bence. Still, Bence said he believes that Emory’s privacy rules are rather liberal compared to those of other universities. Walking through the ninth floor’s maze of tall shelves, Bence listed off his favorite archival material from each section. We passed an Emory Dames Club book from 1931 to 1932 — a record that the wives of then-professors kept of the various parties they threw in their homes. Bence opened the book to a scrapbook-like page memorializing a Valentine’s Day party. The ninth floor is also home to every printed edition of The Emory Wheel. Every issue from 1919 to 2009 has been digitized and is available in the Rose Library reading room on the 10th floor. The Rose’s rare book collection also includes a breadth of non-University affiliated documents, such as the Raymond Danowski poetry collection, which includes works by prolific Beat poets Jack Kerouac and Allen Ginsberg. Former President Barack Obama’s letters, acquired by the library in 2017, are also stored here amongst the other archival material. The 11th floor, which houses a specialized storage section for large files such as architectural blueprints, is somewhat secluded, accessible strictly through the 10th floor. A ghost town compared to the mousy bustle of the ninth floor, the 11th floor is also home to a large vault that protects the University’s oldest and most valuable records, including first edition archives of books. Only non-student staff can access the vault. As he navigated the seemingly endless alleys of stacks, Bence admitted that the storage space in the Rose Library is meager compared to the Library Service Center’s high-density storage down Clifton Road, but it was hard to imagine a more intensive storage system than the Rose’s. Though some may perceive them as counterintuitive, the Rose’s safety precautions and meticulous organization system exist to ease accessibility for researchers. The Rose Library, after all, exists for research purposes. As University archivist, part of Bence’s job is answering reference questions. Scholars and staff often request old photos or come to him curious about historical connections to the College. To answer most questions, he often uses the database discoverE, which is also accessible to Emory students. Some reference questions are more unusual than others. Bence recently received a request from a French journalist of The France 24 Observers, who was working to combat fake news on the internet. The journalist inquired about an image that he had discovered which appeared to depict the infamous Argentine Marxist leader Che Guevara shooting two women. Bence and colleague Kathy Shoemaker helped the journalist debunk the image’s authenticity by finding a Wheel article that clarified the event. 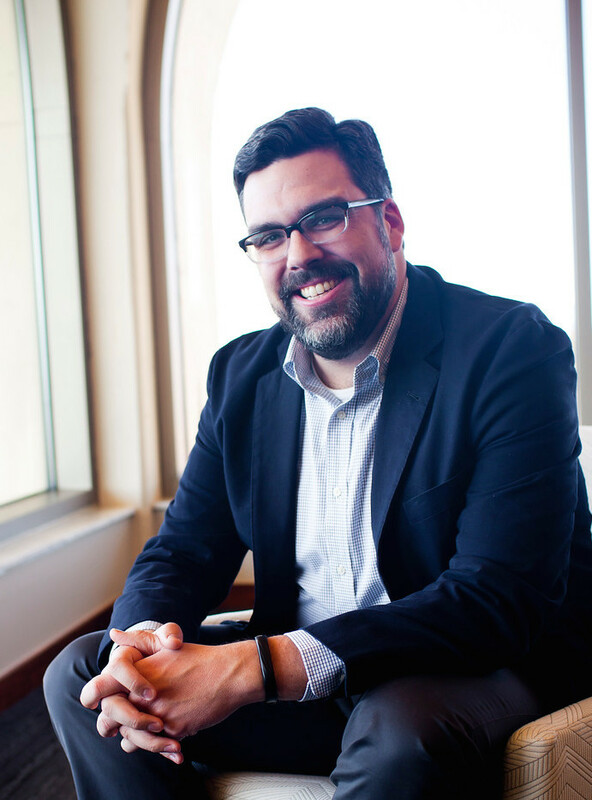 Though Bence acknowledged that archival research can sometimes be overwhelming, he advised students to keep an open mind.